Cascade Campers was born of a lifelong passion for the campervan lifestyle and a desire to share it with the masses. Zach’s passion for campervans began with a post-high school graduation road trip in a 1964 Volkswagen Bus. There were plenty of breakdowns along the way. Over the years, Zach learned to relish the spontaneous mechanical learning opportunities inherent to VW Bus travel. This aspect of the campervan lifestyle, however, isn’t universally appealing. But Zach feels the experience of a campervan adventure is something that should be available to everyone. “Having a car that is also your ‘home’ gives you an amazing sense of freedom, allowing you to jump on opportunities that come up without worrying where you’re going to sleep that night,” Zach says. 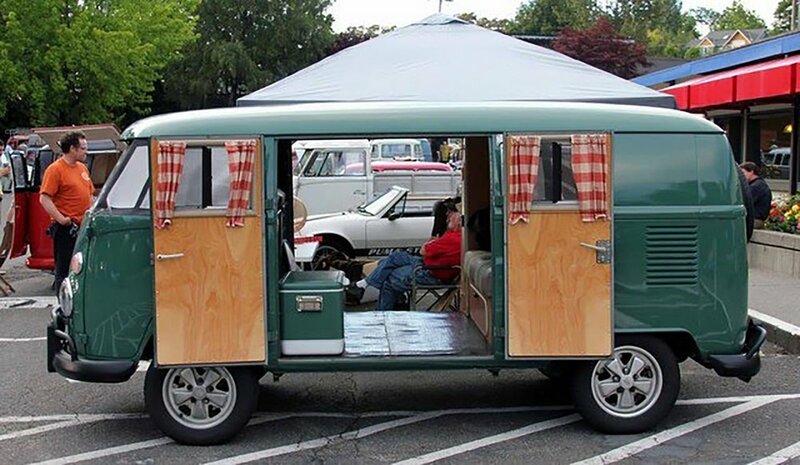 After years of searching for a modern, reliable, economical alternative to the classic German campers he loves so dearly, Zach decided to design his own. He found his platform serendipitously when he rented a compact, front-wheel drive campervan in Iceland. The little van was cheap, robust, and just the right size. Most importantly, it didn’t require motoring about with a full tool kit and a box of spare parts. Zach’s camper conversion design was developed the old-fashioned way: trial and error. He spent many moons building, testing, tearing down, and rebuilding his camper kit until he was certain he’d found the right balance of quality, versatility, and practicality. We think you’ll find he nailed it.